We're going to talk a little about mouths today you guys. Maybe this seems weird, but honestly, it's kind of important. It's actually really important. 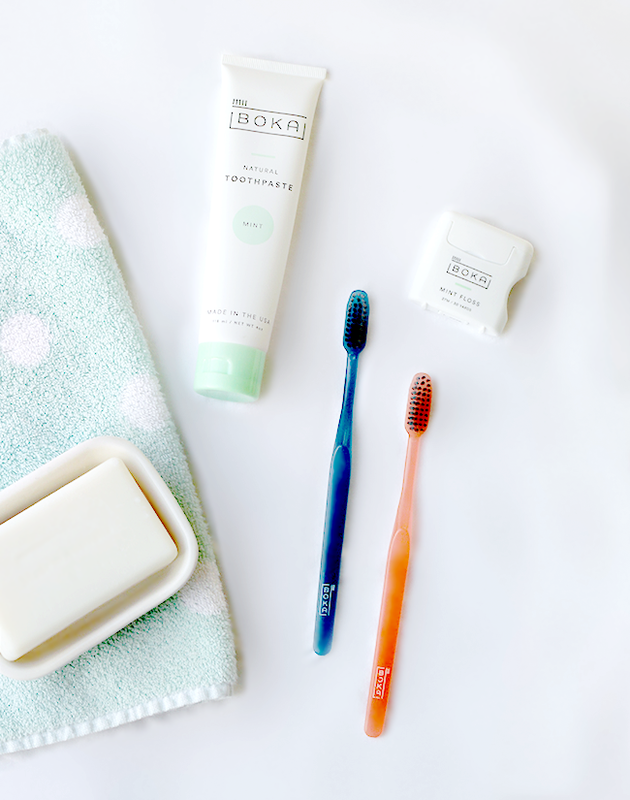 And since we cover everything from eating well to beauty around here, it felt like it was about time to touch upon good old fashioned oral care, and ways to keep your boka (spanish for mouth; more on that in a minute!) healthy and happy. I'm admittedly a little obsessive when it comes to keeping my mouth clean, but for years I went about doing it the completely wrong way. 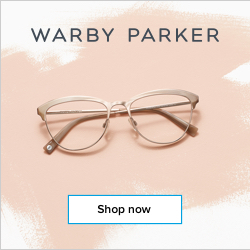 I used harsh, alcohol-based mouth washes, chemical-laden toothpaste, and toothbrushes that were way too firm (and ultimately, damaging to my gums). Oddly enough, during those years I kept getting cavities. I could never figure it out, and neither could my dentist. But I think a combination of over-brushing and over use of mouth wash, not drinking enough water (my mouth was always dry), and eating a lot of sugar (I would eat candy for every meal if it was healthy; to say I have a sweet tooth would be a massive understatement) was likely the cause. Thankfully, the last few years have been cavity-free at every dentist appointment. And that includes during my pregnancies - a time when most women get cavities, even if they've never had them. I attribute this to changing my habits in terms of keeping my teeth and mouth healthy. There are a lot of ways to create a healthy mouth, but I'm going to share five of my favorite tips with you below, including some details of my latest subscription box crush (which happens to be all about your mouth!). 1. Drink plenty of water. This is key! During those years when I had consistent cavities, I was constantly dehydrated. These days I drink water all day, and I genuinely believe it's a big part of the reason my mouth is healthier. Water is good for the rest of your body too, so drink up! 2. Brush the right way. We all know to brush after meals or at least twice a day, but many of us (myself included, for a long time) don't actually know how do it properly. 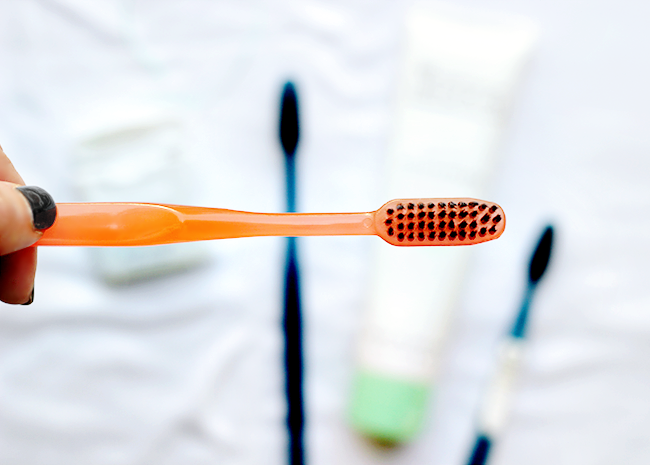 Being too harsh with your brushing can cause more damage to your teeth and gums, so it's important to do it correctly. Hold the brush at a 45 degree angle pointed toward your gums, and gently move the brush in a small circular motion or in short back and forth strokes over each tooth for about 15 seconds. 3. Eat the right foods. I still eat sugar, because it's awesome, but I really limit it these days. Instead I focus on mouth (and whole body!) healthy foods like those rich in Vitamin C (protects gums from cell damage and bacterial infection), plain Greek yogurt (reduces plaque and gingivitis as well well hydrogen sulfide to prevent bad breath), and raw fruits and veggies that are crisp like apples and carrots (which clean plaque from teeth and help freshen breath). 5. Use high-quality, natural oral care products. 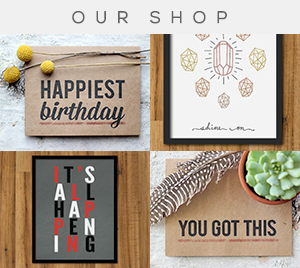 I recently signed up for a subscription box called Boka and you guys, I cannot recommend them more. Every 3 months (see tip #4 above! 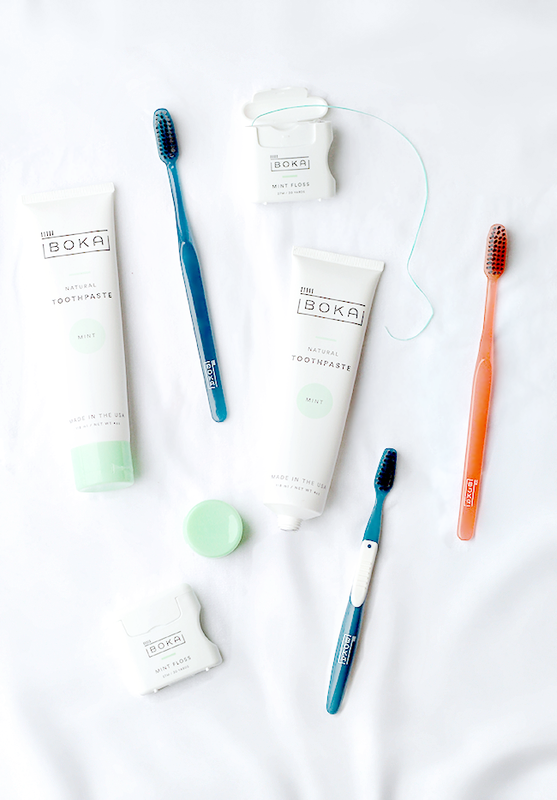 ), Boka delivers cruelty-free, BPA-free, chemical-free oral care products right to your door via customized boxes for you and your family. 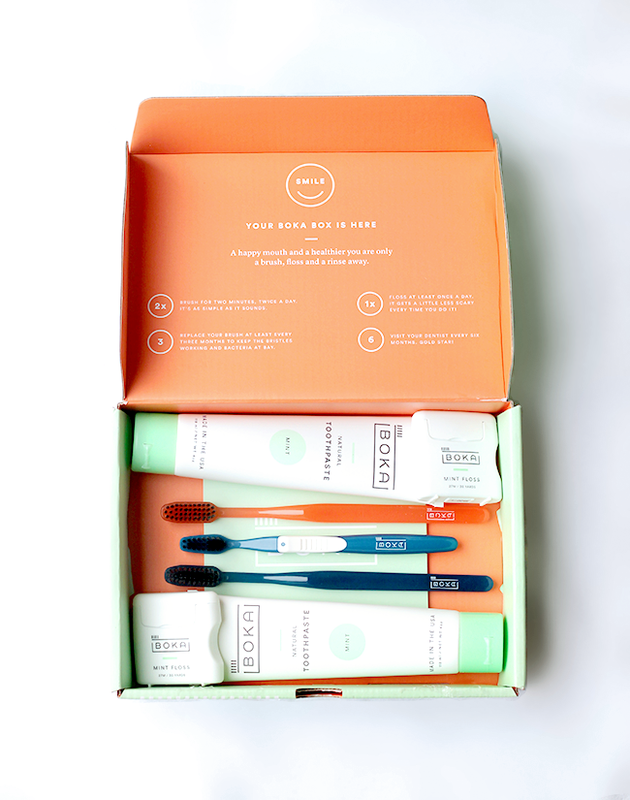 My Boka box contains two adult toothbrushes and a child's toothbrush, two tubes of toothpaste, and two boxes of dental floss. If you're a design nerd like I am, you'll geek out over the packaging (it's gorgeous), but once you use the products, that's when you'll really fall in love. 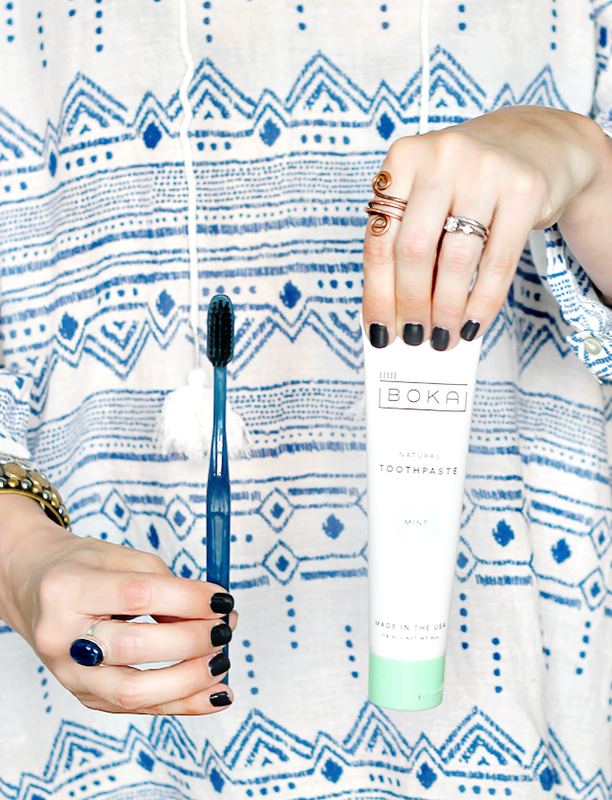 Boka toothbrushes (which come in several colors) are made with Binchotan activated charcoal bristles, which naturally helps prevent bacteria from growing on your brush. 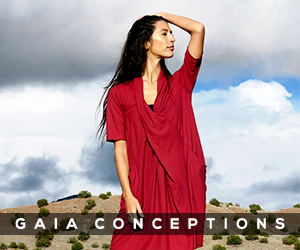 (And let's admit it - it looks really pretty too.) Their minty toothpaste is made with natural ingredients and essential oils like peppermint and mint, and contains no sodium lauryl sulfate, fluoride, triclosan, artificial flavors or paragons. 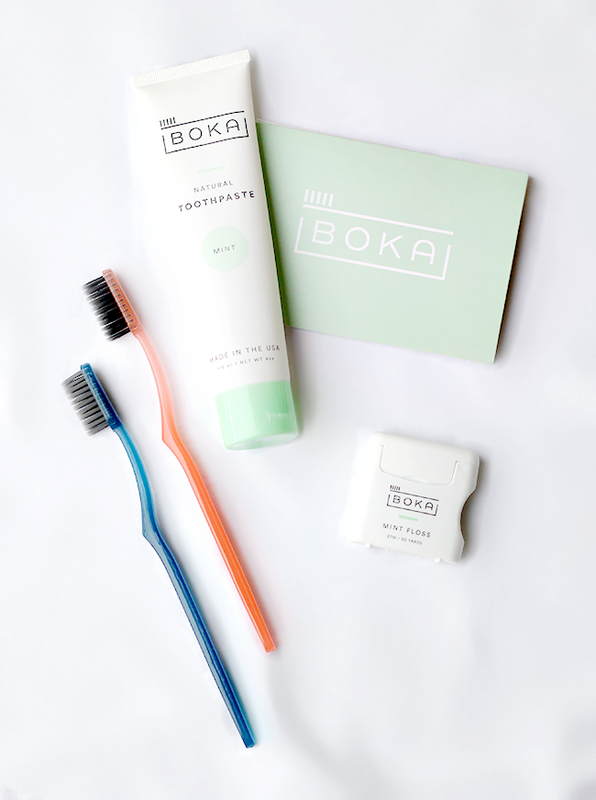 And Boka floss, which is in natural beeswax, glides smoothly and expands between teeth to give you a super-clean mouth and gums. It's also Teflon-free and petroleum-free, thank you very much. The subscriptions are risk-free too, so you can cancel at any time. How do you keep your mouth healthy? Do you have any tips I've missed? 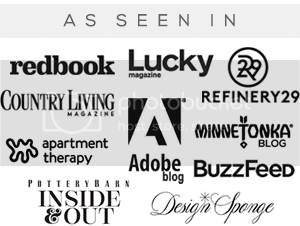 Oh, and if you want to customize a Boka box subscription of your own (or just buy what you need at any given time with no obligations), here is a special coupon code for 25% off any purchase (no limits, any product/subscription/gift set) at Boka.com now through June 1st: BUBBYBEAN25 (Cannot be combined with other offers and cannot be used by the same individual more than once.) Make sure you let me know how you like it! Oral care is very important, as well as maintaining overall health. Thank you for sharing. Perhaps I'll try these products. How fitting to be reading about oral hygiene - I just came back from the dentist! I've been using organic toothpaste for over a decade, since the regular stuff gives me a burning sensation. 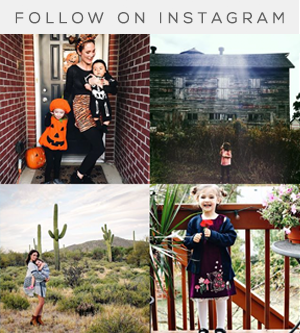 These are all great tips and Boka sounds awesome! 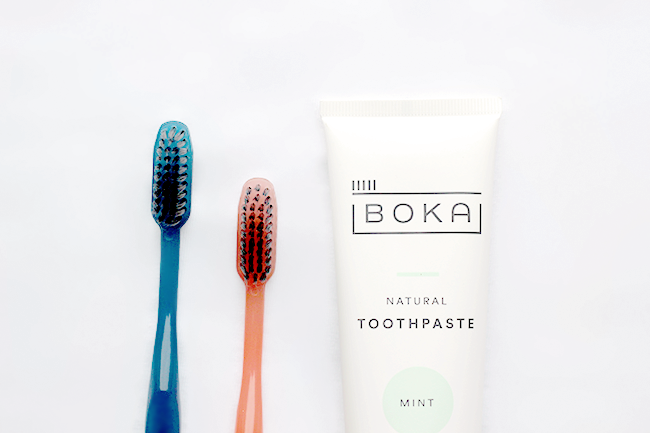 Been looking for a cruelty good free toothpaste for a while, going to try Boka! Thanks!